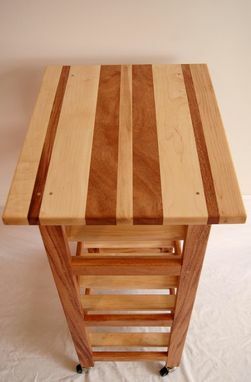 Jason did a great job on our table. We couldn't have been happier with the whole experience. 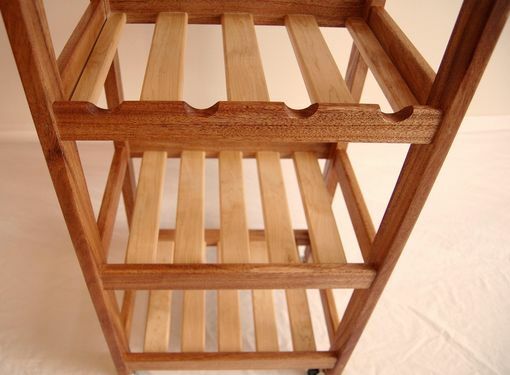 This is a khaya and hard maple rolling kitchen cart. It measures 18 inches wide by 22 inches long by 37 inches tall. 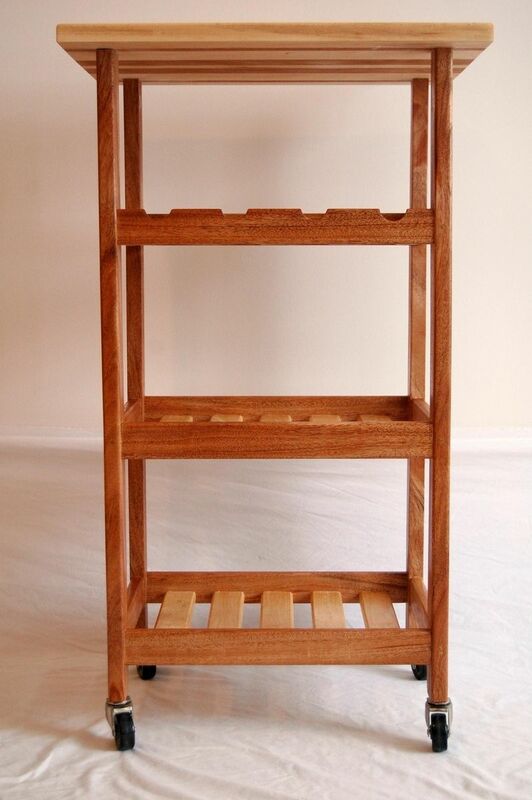 The cart has three slatted hard maple shelves with the top one being a wine rack. 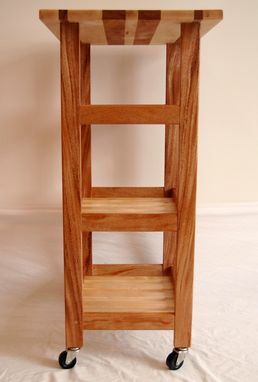 The top shelf is 8 inches from the top and the other two shelves are 10 inches apart. The cart rolls on 4 rubber adjustable casters allowing you to move it any where. 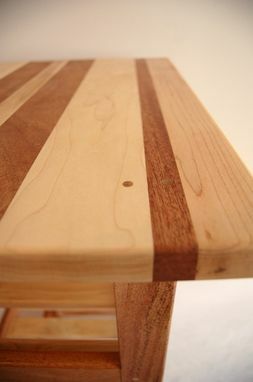 The top can be finished as either a table top with Danish oil and carnauba wax or as a cutting board with a beeswax finish. Every maker has a story. 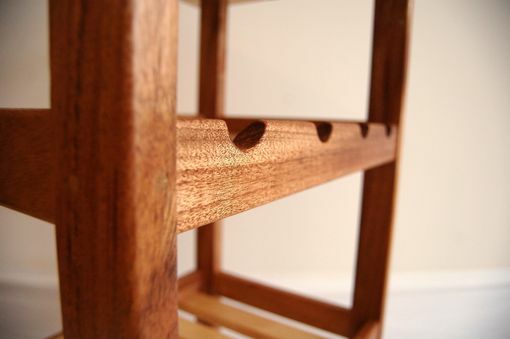 Be a part of FurnitureXDesign's story by placing an order, leaving a review, and seeing your review appear here.